In September 2015, Russia's Investigatory Committee resumed an investigation of the criminal case on the murder of Nicholas' II family. At the same time, the Church set up a commission on studying the results of the expertise of tsar family relics and initiated its own expertise in frames of the case. 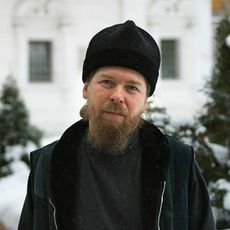 Head of the Patriarchal Council for Culture, rector of the Moscow Sretensky Monastery Bishop Tikhon (Shevkunov) of Yegoryevsk tells in his interview with Interfax-Religion correspondent Alexey Sosedov when results of the investigation will be publicly released and what to do with another unturned page of the Soviet epoch - burial of Lenin's body. - The coming 100th anniversary of the October revolution gives us a reason to think over the tragedy of the tsar family, but also to reflect over the Soviet period, the role of leaders. Don't you think the discussion on Lenin's reburial will be resumed? What is your attitude to the question? - Very intensive work is going on. The genetic expertise has been held in the best world's laboratories. Very extensive and interesting anthropologic expertise with principally new data is being completed, now I can't be more precise. The Anthropology Institute, coroners, anthropologists were also involved in it. There also was a historical expertise. A new team of researchers professionally work on it. By now they have discovered many interesting, principally new things. The case has not been closed, and we are not authorized to tell the details of the investigation. - Is there understanding when the results of the expertise will be make public? - We hope that as the work is very extensive and the report will be very voluminous, it will be ready by the second quarter of this year: investigators will report to the Investigation Committee, and we will report to the coming Bishops' Council. - The 100th anniversary of the October Revolution is coming. Can we suppose that a discussion over Lenin's burial will be resumed. What do you think about it? - Red Square is not a cemetery, it is not a place for such burials, but it will be decided by people who are authorized to take such decisions, after listening to all opinions. And this decision will certainly influence many vectors. The most important thing is not to inflict harm. I have no doubts that Lenin's mummified remains will be relocated. As to the question when it happens, such decision should be taken by those who are responsible for possible consequences that speed of taking this decision does not deserve. We will say that it should be done, but we won't cry out that we have to do it right now or tomorrow. We inform people about our opinion, many people share it. And then let it be decided by those people who are responsible for civil peace in the country.